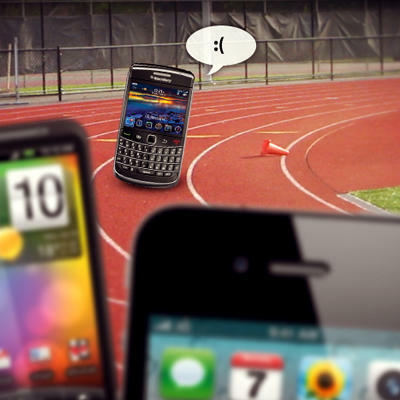 It’s no secret that RIM (Research in Motion) has been hurting recently. While the mobile industry has undergone tremendous growth over the past three years, the house that Blackberry built has been crumbling. RIM has been an easy target for blogger/journalists, and we mostly assumed their problems were due to poor corporate planning that turned a one-time beacon of the mobile industry into a reactive mess. A deeper look reveals problems reportedly ranging from roadmaps that don’t keep pace with industry standards, to bullying carriers into agreeing to stock BlackBerrys with buggy software and unfinished operating systems. What exactly is going on at RIM? And is it too late to fix it? experience. Certainty the software has to be optimized for the hardware. But can you imagine the outcry if RIM released a top-tier phone in today’s market with an 800 MHz processor? I’d hate to see the forums, YouTube comments, and site discussions comparing an 800 MHz Bold Touch to Android devices running dual- and quad-cores at up to 1.5 GHz each. 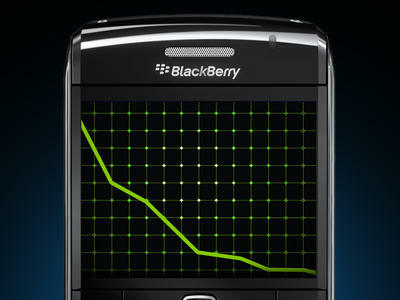 Regardless of the user experience, a BlackBerry with such poor specs would be doomed from a consumer perspective. Enterprise users would upgrade to the newest BlackBerry, sure, but beyond RIM’s bread and butter audience, slow clock speed would make for a tough sell. Not to mention a flagship phone with an 800 MHz chip at its core would be even tougher for the Blackberry faithful to defend to their iPhone and Android toting friends. Pushing through buggy software builds, strong arming carriers to approve problematic devices, and altering products midway through development is not a recipe for success in the mobile world. If RIM is disregarding the end user experience, the company is draining water from a sinking ship, and just delaying the inevitable. For RIM to really fix the hole in their boat, they have to use their QNX built PlayBook operating system as the patch. While currently missing key functionality (e-mail!) the OS is incredibly solid, modern, elegant, and secure. If RIM can successfully add the missing functionality to QNX, port it to the phone form factor, and add some modern hardware to the mix, they might just have some life left in them yet. If the rumor mill is to be believed, RIM has one more legacy software OS in store (presumably OS 7.5) before QNX powered devices are ready. If RIM is smart, they’ll ditch the 7.5 plans, and put everything they have behind getting QNX (OS 8?) into the hands of the consumer. What do you, the smartphone loving audience think? 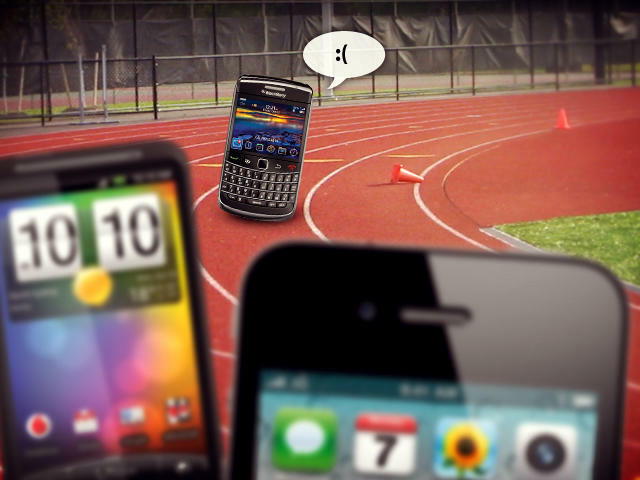 Does RIM have any wind left in their sails or are they sunk?